Project Description The two attached spreadsheets contain a Column with company names and company ID. I need to add data from COLUMN 'Company ID' in spreadsheet 'AI_Sample.xlsx' to spreadsheet 'DC Sample.xlsx' by matching the company names. The company names are similar but not exactly the same. i.e. 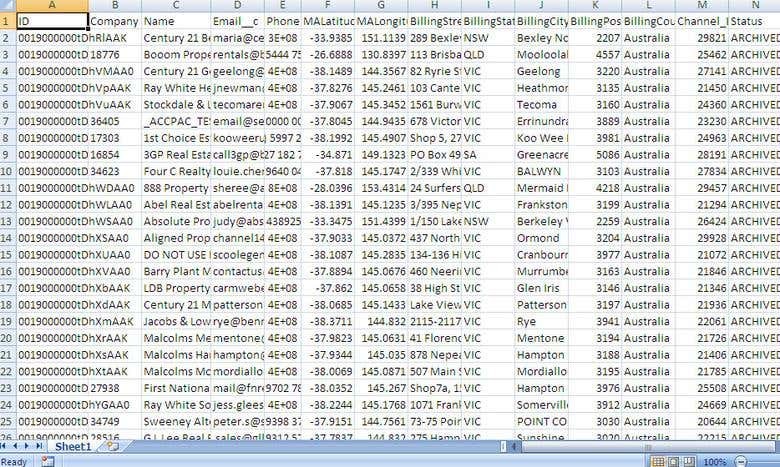 AI_Sample.xlsx = Abel McGrath Property Group - Claremont DC Sample.xlsx = Abel McGrath Claremont There are 6,954 company ID's to match. we successfully completed this work.